Entry No. 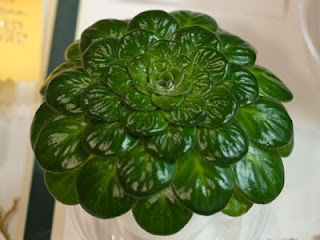 346, Petrocosmea begoniifolia, exhibited by Sylvia Taub. Score: 92. First Place. Entry No. 214, Petrocosmea minor, exhibited by LaDonna Hopson. Score: 91. Second Place. Entry No. 416, Petrocosmea minor, exhibited by Nancy Carr. Score: 89. Third Place. Entry No. 504, Petrocosmea species #5, exhibited by Nancy Carr. Score: not scored.